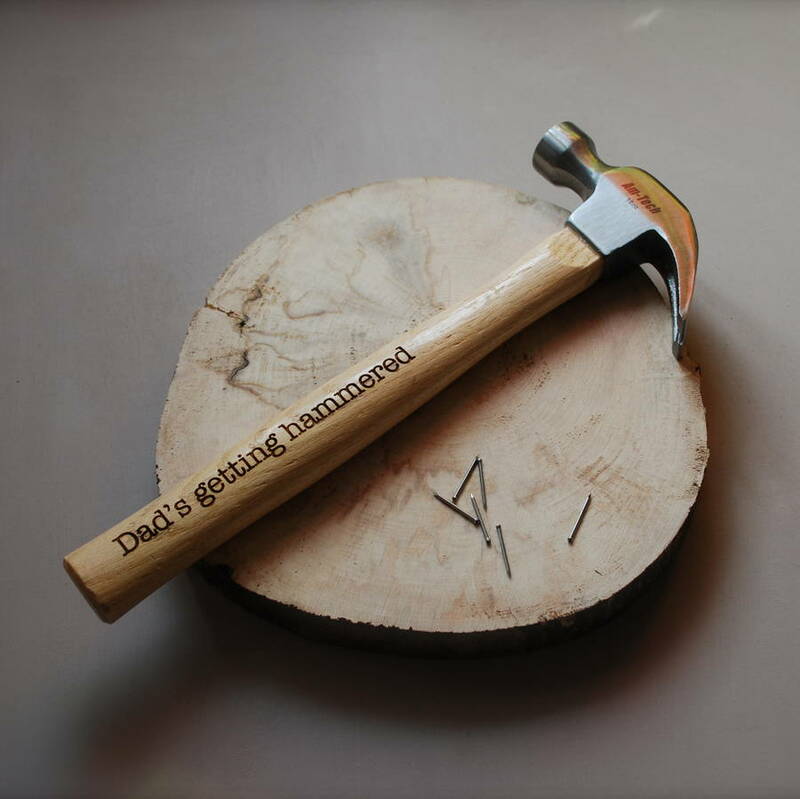 This personalised hammer makes the perfect gift for Dad or Grandad. Laser engraved with one of our quotes or add your own words. 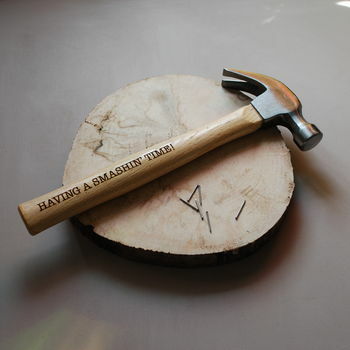 This personalised tool is available with either one or two sides laser engraved with your words of wisdom or heartfelt messages. Whether you are looking for the perfect birthday gift for Dad, a new home gift for your brother, a 5 year wedding anniversary gift for your husband or a christmas gift for Grandad you can personalise the wording to suit your needs. Available to personalise - add names, change the quip, maybe your Dad is 'KING of DIY' or maybe you would like to add a more heartfelt message for someone. Either way, it's all possible! Daddy, lets build a treehouse!! 8oz claw hammer with a wooden shaft. The hammer is drop forged, hardened and tempered with a fully polished head. Perfect for everyday DIY as well as a tradesmans tool. From top to bottom the hammer measure 33cm. 28cm of wooden handle and 5cm of hammer head.